A helicopter was cleared to fly less than 24 hours before it crash-landed on a North Sea platform and spun through 180 degrees. Damage to the CHC-operated Sikorsky S-92s tail rotor was missed during an inspection before it left Aberdeen to head to an accommodation module in Total’s Elgin field. And during a shuttle flight to the West Franklin platform three miles away it suffered equipment failure which would have “seriously” affected the ability of flight crews to maintain control of the helicopter”. Details of the incident on December 28 – which led to all the North Sea’s S-92s being taken out of service for safety checks this week – have been released by the Air Accidents Investigation Branch as part of its initial findings from a probe into the crash landing. Investigators found the Health and Usage Monitoring System (HUMS) used on the helicopter had not revealed potential damage. The software helps assess the condition of a number of components and normally requires an operators to “visually inspect” the data. The report said: “A routine download of the HUMS was performed on the evening of December 27, 2016 and the helicopter was released to service. CHC is also conducting its own investigation into the incident and said it was co-operating fully with the AAIB. A spokesman said last night the operator “welcomed” the initial report. The report from the AAIB revealed that during the initial take off from the Elgin platform the aircraft yawed 45 degrees to the right unexpectedly before landing back on the deck. The crew decided the issue could have been caused by turbulence or wind created by the platform structures. The crew then started the three-mile flight to West Franklin for a second time. According to the report, just 4ft above the West Franklin helideck the helicopter began to yaw “rapidly” to the right at 30 degrees per second while at the same time “rolling” 20 degrees to the left. The report said: “At this point the left main landing gear contacted the helideck. It continued to yaw to the right on its left main wheels and nose wheels before the right main wheels contacted the surface. The helicopter’s tail rotor pitch change shaft was found to be in a “severely distressed” condition with failure of the specific bearing described as “rapid”. 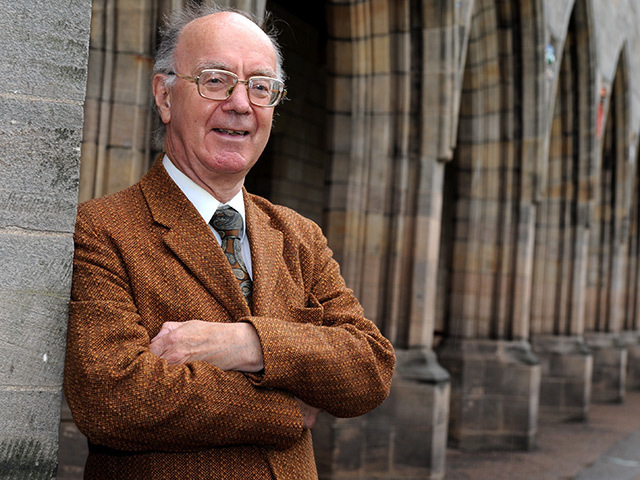 It was found it took only four-and-a-half hours between the initial damage being recorded to the “point of failure”. An assessment of components after the accident showed there had been signs of “overheating with extreme wear” on some of the parts. The combination of damage to different parts eventually led to “total loss of control” of the tail rotor. The AAIB said the helicopter had been involved in two previous events, but said that at this stage of the investigation the helicopter manufacturer was not clear whether the most recent damage was at the result of a “new root cause” or a “previously unidentified failure mode”. The aircraft was later lifted by a crane from the helideck on to a ship which took it back to Aberdeen for inspection. 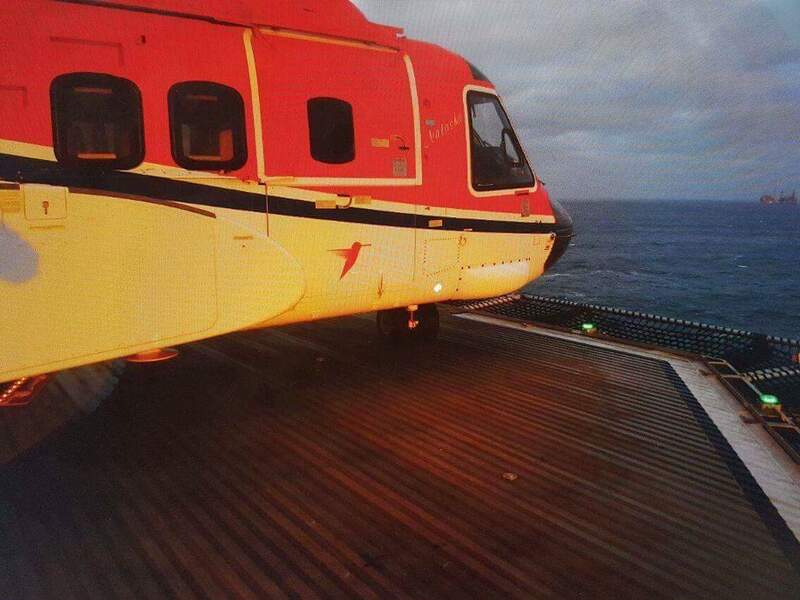 Its wheels were damaged in the incident and it left gouge marks on the helideck. A spokesman for CHC said: “CHC has worked closely with the AAIB and aircraft manufacturer Sikorsky. “We are confident that the measures we have taken and the actions directed by the Sikorsky to all operators worldwide will continue to underpin the safety and airworthiness of the S-92. “CHC’s top priority is the safety of everyone we carry in our aircraft. We have well established procedures and have been at the heart of developing industry guidelines for HUMS best practice. Sikorsky said it would also continue to support the ongoing investigation by the AAIB. A spokeswoman added safety was the “highest priority” for the company. Step Change in Safety executive director Les Linklater said: “Today the Air Accident Investigation Branch issued Special Bulletin S1/2017, which communicated their initial investigation findings from the recent CHC Helicopter incident, which took place on 28th December,2016, at 8:44am on the West Franklin Platform. We recognise the importance of the processes and procedures in place to ensure safe flight operations throughout the UK and we welcome this new report. “This report provides some further details regarding the incident and importantly indicates that the requirements advised to date by Sikorsky, through the release of their ASB and subsequently undertaken by the helicopter operators, are the correct actions to maintain continued safe flight operations and deliver a reliable service, which the men and women working offshore can have confidence in.